I was suffering desperately from what I thought was hives for about 6 months. I actually had a dreadful allergy to bed bug bites but didn’t know it until I found one walking around on my mattress!! UGH! I called a few pest exterminators and even booked one until I discovered that we would have to leave our house OVERNIGHT and move all the furniture etc, etc. As a last resort I skeptically tried calling Bed Bug Barrier thinking, ‘well at least it is not expensive and if it doesn’t work we haven’t lost as much money as the chemical option’. I used the powder, bought the mattress protector and taped up all around the bed. Three weeks later though we still had some bites. I called and spoke to Tony himself. He told me that because my slatted bed might still have some hiding places I should wet down the slats and then re-dust. We did and it’s been about a month since then and NO MORE BED BUGS!!! So happy and can actually sleep again. 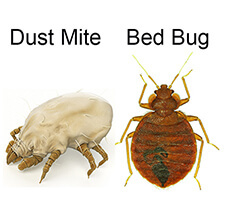 I am still a little stressed they might come back so I am going to keep dusting periodically but imagine if I had wasted all that money on chemicals and that didn’t work – there were no guarantees there, unlike with Bed Bug Barrier. I also love the after sales attention that Tony and his team gave me, emails and even a call to see if it was working. Thanks so much for helping us through this awful time.